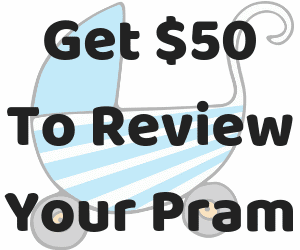 Baby Jogger is a great brand that make quality, innovating, easy to use, parent-friendly prams. And I have to say I got a little bit excited about the Baby Jogger City Tour Lux. It’s the newer – more “Lux” – version of the City Tour. Baby Jogger City Tour Lux is one of the most, if not the most, compact pram that offers a parent and forward facing seat that is also newborn ready. Firstly the upgrades with the City Tour Lux are reflected in its price point. The Lux is priced around $600 whereas the City Tour RRP is under $500. The main difference between the City Tour and the City Tour Lux is the Lux has the option of a parent facing seat. And has a newborn ready seat whereas the City Tour is from 6 months onward. I think these are the main features and reason you’d choose the Lux version over the original City Tour. Otherwise the Baby Jogger City Tour Lux is a little bit bigger; it has a roomier seat, bigger basket, taller handlebar, and bigger hood. The Lux also has the features of an adjustable footrest and a standing fold, which the City Tour does not. Also the Lux has a hand brake, rather than the footbrake on the City Tour. And the Lux has a button recline rather than the City Tour’s strap recline. The City Tour weighs a teeny tiny 6.5kgs, and the City Tour Lux weighs a fairly compact 8.8kgs. The City Tour Lux handled pretty well on the usual grass, playground mulch, gravel etc. that you’ll come across on a trip to the playground. However it’s definitely not an all-terrain pram – not that I was expecting it to be! It was pretty bumpy and caught on the edges of the footpath and playground. So you need to do a bit of a “curb pop” to get it over some of the bumps. So it’s much better suited for sealed footpaths. It glides and maneuvers absolutely beautifully over smooth surfaces. With it’s tight turning circle and narrow size it’s perfect for travel, negotiating through cities and shopping centres. Not so much the great outdoors. The Baby Jogger City Tour Lux is SUPER COMPACT when folded. Check it out in it’s carry back pack in the boot of my Kia Rio (small car). There’s still heaps of space left over for gear and groceries. Another thing I think is really cool about the Baby Jogger City Tour Lux is that the carrycot/bassinet (sold separately) actually fold with the frame. So with most other prams the bassinet makes the fold really bulky, or have to be removed entirely to fold the pram. Whereas the City Tour Lux have a bassinet that basically folds in half just like the seat. So clever! The seat is also not particularly big. 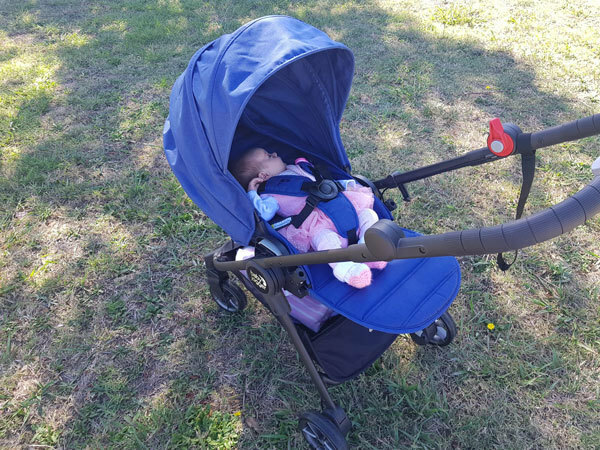 Which is fine given it’s a super compact pram, but just be aware the height might be the limiting factor, rather than the weight limit of 20.5kgs. A friend’s four year old sat in the seat and was a few centimeters too tall for the hood. So this pram really goes up to approximately two or three years old. 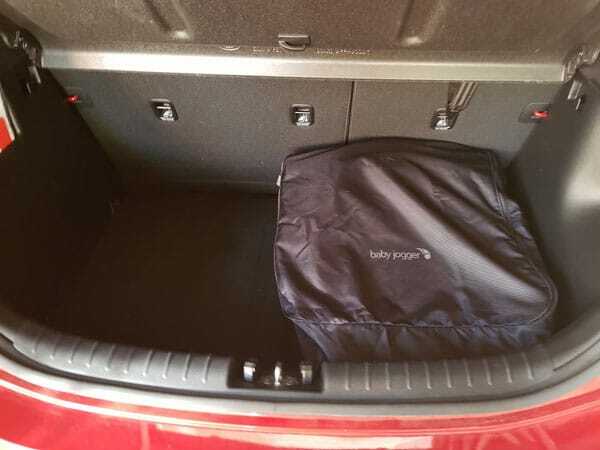 The seat is also quite low to the ground which could be difficult for parents who have trouble with bending down to buckle in or pick up their new baby. The handle isn’t adjustable, which could a problem for very tall or very petite parents. Overall though I think it’s a great little pram. 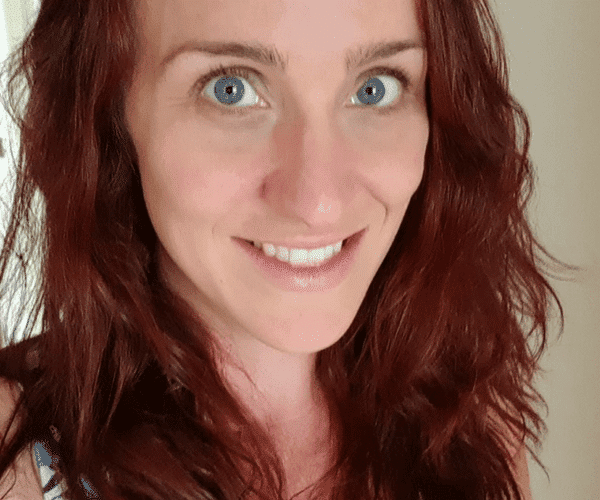 I think it’s going to be perfect for parents who need a very compact pram – either because they have a small amount of boot space, or storage space at home. Especially if having the parent facing seat option is an absolute necessity for you. (It is for me!) This pram delivers both being a very functional small pram, with the reversible seat, that is suitable from birth. So this little pocket rocket ticks some pretty big boxes! 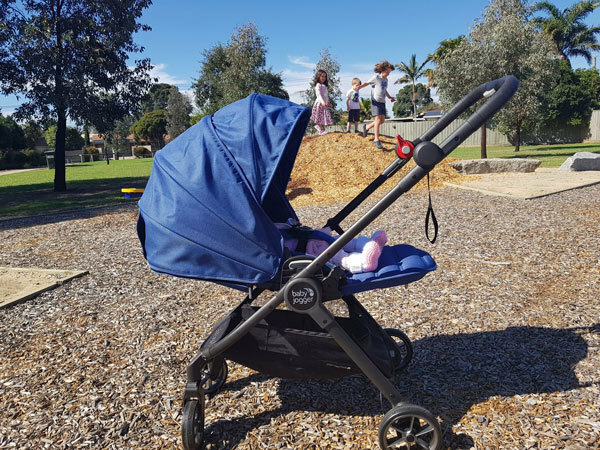 For more lightweight pram options check out our Best Travel Prams for 2018 list! 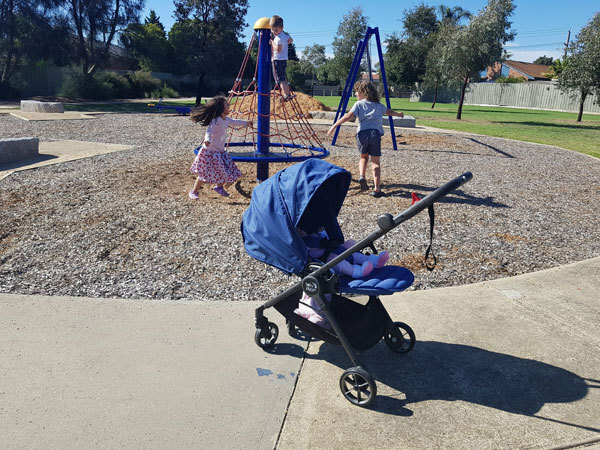 Baby Train allowed me to use this pram for review, however I’m not paid or sponsored by Baby Train or Baby Jogger in any way.